Public Service Resumes professional writers have a direct working history, knowledge or intimate understanding of the roles you will be applying for. You can rest assured that you will be 100% satisfied with your completed documents. Public Service Resumes boasts an exceptionally high success rate with the documents that are produced. We achieve this by allocating your order to an industry specific writer who will understand not only the key words and professional language for the role or roles you are applying for but also a broad understanding of each particular Federal, State or Local Government Sector requirements. 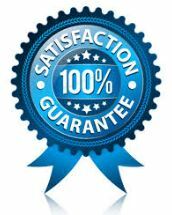 Public Service Resumes offer a 100% Customer Satisfaction Guarantee with all documents produced or services offered such is our confidence in being able to meet your expectations. Public Service Resumes understand the significance of good service which ultimately leads to customer satisfaction. We are able to achieve both by treating you with the honesty, respect and the professional service you require and deserve! All documents completed and services provided by Public Service Resumes come with a 45 Day Review and Feedback Period. This not only allows you enough time to review and seek as much feedback as you desire before you submit or utilise your documents but also, and where applicable, we can take into consideration any direct feedback provided by the Selection or Interview Panel and update accordingly. Any requests for updates will be treated as a priority and actioned immediately by the appropriate consultant being your writer, editor, revisions team member or designer. Your Public Service Resumes documents will be provided to you in an editable Office Word version so in the future and outside our 45 Day Review and Feedback Period you will have access to alter, change or update any of the information within your completed Public Service Resumes documents. If you lose or require another copy to be sent to you, we can do this complimentary at your request.